Because even though “blogiversary” remains a made-up word, it’s still a thing. Exactly one year ago today I posted for the first time on this blog. Unless you’re closely related to me, there’s a pretty good chance you missed it. But I am delighted that there are a few more of you out there now, some even so kind as to offer polite comments and feedback and many with fantastic blogs of your own. 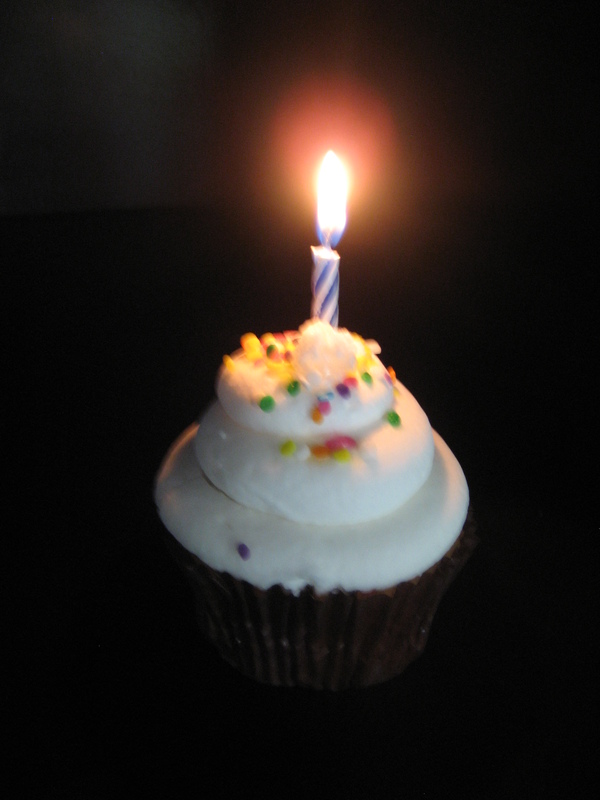 And so I wanted to acknowledge and celebrate my first blogiversary (mostly because I love made-up words). The question is how does a blogger who claims to write about history write with any authority about a form of communication that can only really be traced back to 1994? The word blog itself didn’t crop up until 1999 as a portmanteau (another great word, not made-up) of “web” and “log” because a webllogging jokester decided to use the phrase “we blog” and it stuck. Now you could say it’s just gotten plain out of hand with words like vlog (a video blog), travelog (a travel blog), and splog (a spamming blog) seeping into our language. Of course we can all thank Merriam-Webster for this trend. He wasn’t wrong, of course. Despite the controversy, Webster’s Third went on to become a respected and widely relied upon resource even if it did contain the word “ain’t.” But I can see the concern. Without a steadfast standard what is to prevent just anybody from making up words willy-nilly (a word that has been more or less in common use since 1610 and that can still be found in Webster’s, tucked between willy-mufty and willy-wagtail). The truth is that language evolves constantly and so do the ways in which we communicate with one another. What started out as a few escribitionists (a word that has not yet made it into most dictionaries) with online journals, blossomed into thriving online communities of people sharing their thoughts on absolutely anything until even politicians, respected journalists, and hack writers like me decided to get in on the action. Actually this is not my first blogging experience. Twice during my graduate studies, I was required to establish and maintain edublogs in order to support class reflection and discussion. The first focused on teaching rhetoric in a university setting. I assure you it was not even as exciting as it sounds. The second was entirely devoted to the life and works of Jane Austen. It included only the most serious of posts like when I offered a reading of Persuasion from the perspective of Avril Lavigne and wrote “Seize upon the scissors” a lot. In case you’ve never read Jane Austen’s personal letters (but who hasn’t?) you’ll have to trust me when I say that is well worth a chuckle or two. So when I returned to blogging seven years later because a fellow writer insisted that I couldn’t get published without a blog (though like most future bestsellers I’ve yet to get published with one), I really wanted to be sure that I found the right niche that would allow me to write comfortably and consistently. I decided on history because as a writer of historical fiction I research nitpicky and highly blog-worthy historical details all the time anyway (and that’s the reason I can use the phrase “boat-licker” properly). It seemed like a good fit. Then as I found my blog voice I discovered what I really write is part history (sometimes true, occasionally made-up) and part personal essay (usually true, often exaggerated). I have also been known to throw in a little math and science or food from time to time. And, I’d like to think, a little splash of wit. So since I’ve been at this a year now, I’m thinking I should come up with a word that accurately describes the type of writing I attempt here in my little corner of the blogosphere. I’m also thinking that it should contain the word blog. Maybe more than once. I’m open to suggestions. Beginning almost off the subject, I’d guess that willy-wagtail refers to a bird … Now for my dictionary: um, my dictionary is Random House, and willy-wagtail is non-existent. Back to the subject: Yes, Congratulations. Yes. Yes indeed. Yes, willy-wagtail refers to a bird that is native to Australia, though it doesn’t seem to be hyphenated any place I’ve seen it except Webster’s online. Apparently it is also alternatively spelled willie wagtail, so maybe don’t be too quick to give up on your Random House. 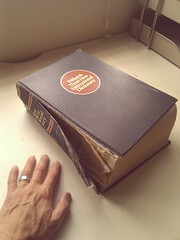 It’s possible that your dictionary is just less permissive than mine. And thanks for the congrats. You’re the one who finally convinced me that blogging was a good idea and it turns out, I enjoy it quite a bit. So thank you for that, too.